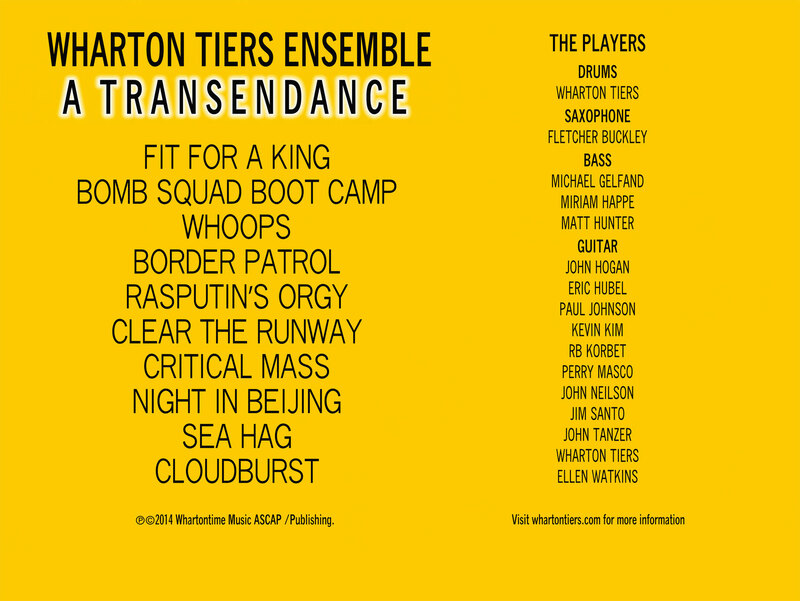 Fun City recordings is pleased to announce the release of A Transendance, the latest by the Wharton Tiers Ensemble: Ten bursts of instrumental passion guaranteed to improve your summer travel experience. This was the last song composed for this collection, recorded at The Kennel studio. I always thought of this as my tribute to T.Rex. This was composed in 1998, about the same time as Twilight of the Computer Age, because I wanted a song that would go second in the live set. Miriam does an awesome job on the bass and Fletcher’s sax takes it south of the border. This is another early Ensemble song and always a big favorite live, but it didn’t seem to fit with the Twilight or Freedom Now collections. This is an early version with the original guitarist and bass line-up, and what makes this version pop are some well timed drum hits, Rebecca’s lovely harmonic fills and Michael’s swooping bass lines. This is everything an Ensemble song should be. My rockin’ tribute to Homeland Security based on an incident returning from a Canadian tour. Spooky gtr. hooks, dissonance and a Big ending….yeah it all worked out in the end. This was written for the epic I, Rasputin dance piece, which was performed with the Dura Mater Dance Group at the PS 122 performance space in Manhattan in 2000. A little Jon Spencer, a little Breeders, can’t help but feel Rasputin would approve. 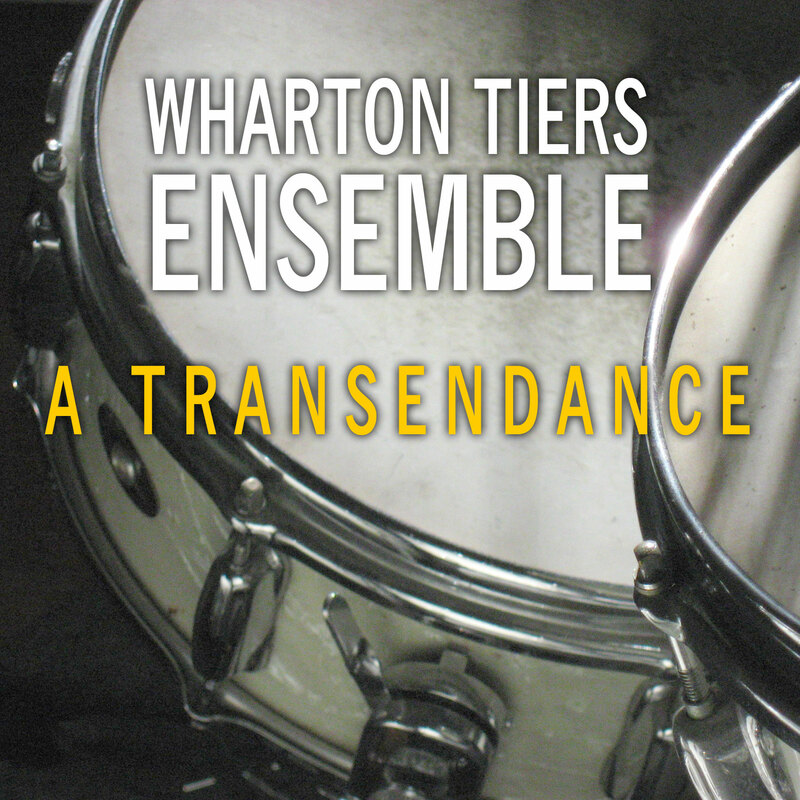 This is another early Ensemble song, performed quite a few times with Dura Mater. Love the harmonics, the Music Man bass, and Fletcher’s stunning sax. This was based on a guitar line John Hogan came up with, though he had left the band by the time this version was recorded. This was also known as ESPN for a while because it lined up so well with sports highlights. I also think it would sound great performed by a marching band. This might have needed the most tape (yeah, everything was recorded to tape) to get The final “take,” but flow is everything and Matt’s bass lines are magical. Also John Neilson gets in some of his tasteful licks and there you are Beijing!!!! This is the opening and theme music for SEA HAG, The Movie. The Sea Hags sail out of the mist and into New York Harbor in a vessel that resembles the USS Constitution as the opening credits roll, No one seems to notice the Hags, who look for the most part like crazy homeless ladies, but they exhibit a strange mind control that causes everyone to start acting in the best interests of humanity. We got the power! This is really the Transendance; it’s hard to say exactly what it is, but it comes on like a summer storm in the mountains, wild and tugging and throbbing until it finally fades away.